Check it out: new buttons! 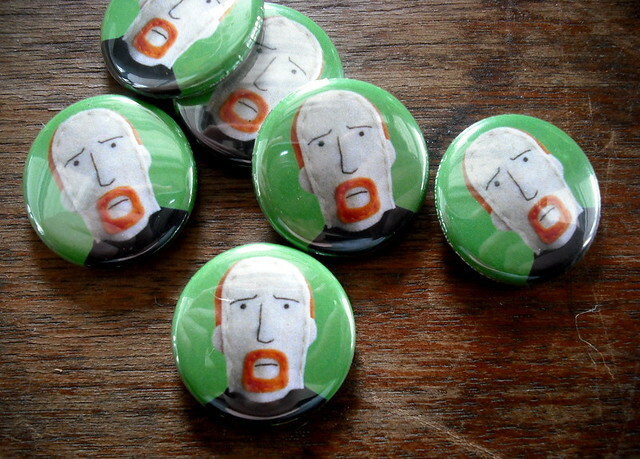 Louis CK looks super Irish on this button, eh? Like a tiny little leprechaun! 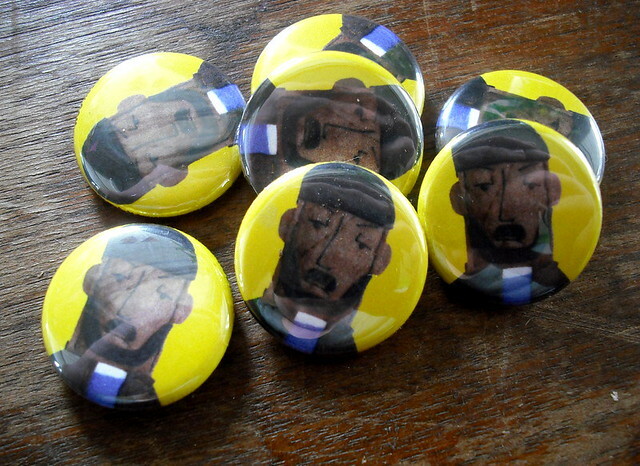 And with my new puppet photo shoot earlier this spring, I finally had a good picture to make an Omar button. Lucky orderers of either of these puppets can now look forward to one of these button goodies in their package and I’ll have them for sale at the Indieana Handicraft Exchange in June, too.